U.S. labour market data out on Friday, April 05 confirms the U.S. economy remains in fit condition and expectations for a future interest rate cut at the U.S. Federal Reserve are premature. The Dollar was seen stronger against the Pound and volatile against the Euro after it was announced the U.S. economy added 196K jobs in March, well ahead of expectations for a reading of 175K expected by the market. "Normal service is restored, after a couple of wild swings," says Ian Shepherdson, Chief Economist at Pantheon Macroeconomics in response to the data recovering from February's sharp slump that saw the economy create a mere 33K jobs. Image courtesy of Pantheon Macroeconomics. However, the Dollar would most likely be performing better were it not for some disappointing wage numbers: average hourly earnings read at 3.2% year-on-year where markets were looking for a reading of 3.4%. Month-on-month the figure stood at 0.1% against an expected 0.2%. Hints of a strong payroll report came 24 hours earlier after Weekly Initial Jobless Claims from the U.S. Department of Labor smashed expectations with a reading of 202K, well below the 216K expected by markets. "The labour market in the US appears to be very stable at the moment; with employment growth averaging 180.000 over the last three months, labour force participation oscillating around 63% over the last 12 months and wage growth neither slowing nor accelerating. 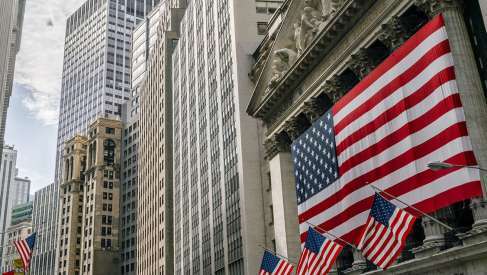 This tells us the US economy continues to be in a healthy state and that the the economy continues to be able to add jobs, without creating high levels of wage inflation," says Bart Hordijk, FX Market Analyst at Monex Europe. Hordijk says the stability in the U.S. job market justifies a 'wait and see' approach by the Federal Reserve until the end of the year, and pricing in a rate cut for 2019 seems premature for now. The market is likely to further reduce bets for an interest rate rise over coming months, and as this is done we would expect the Dollar to pick up further support.